People use tickets for countless reasons ranging from sporting events to fundraisers and everything in-between. Needless to say, businesses, nonprofit organizations and even individuals can certainly benefit from the Avery Ticket Template. Rather than tracking down a store offering generic tickets, an organization can print out their own personalized tickets to fit their specific needs, ensuring they have exactly what they need when needed. 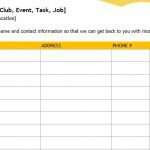 It is as simple as downloading the Avery Ticket Template and printing out custom-made tickets for any fundraiser, raffle or event imaginable. Perhaps the best advantage to using the Avery Ticket Template is the ability to customize and personalize the tickets. 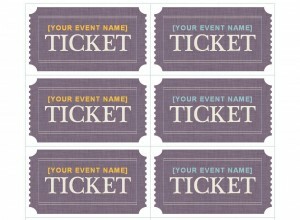 Businesses and organizations will find adding a unique flare to their raffle tickets as easy as pointing and clicking, selecting the color of their choice, including event names and creating that personalized touch that people will remember. Simply take advantage of the free download located below and have fun with these easy-to-use tickets perfect for one’s business, nonprofit organization or individual use. The first step to designing one’s personalized tickets is to open the appropriate program, select “File” and click on the template to open a new document. 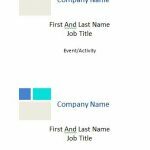 Once the template is open, choose the desired font and click the first field with the appropriate text. The next step is to choose the “Design” tab to select the background color or logo. Finally, print out the personalized tickets as needed. Let customers know their business is appreciated by adding a simple “Thank You for Your Business” note. Adding the name of the event or charity provides individuals with a keepsake, bringing back fond memories for them and their families. Businesses and nonprofit organizations can select colors that reflect their company, ensuring their tickets and company stand out in a crowd. 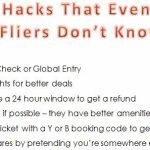 Choose easy-to-read fonts and sharp color contrasts to ensure everyone can clearly read the front of the ticket without issue.